"You may not realise it," the advert counsels, "but life has given you the skills you need to be an MI5 operational intelligence officer. "Your experience of dealing with people means you can build trust and relationships with all sorts of individuals, which makes you the ideal candidate for developing a career securing the information we need to protect national security." Despite the obvious dangers of spy work, MI5 claims to work within the law and indeed within health and safety law. In fact, they were recruiting for a new head of health and safety in 2013, at a salary of £60,000 per year. The only catch, they wouldnt tell applicants anything else about the role. Much of the equipment MI5 operatives use is classified, and no doubt high tech. Which is why it surprised many when in 2006 Russia accused British spies of concealing a covert listening device inside a fake rock and placing it on a Moscow street. Even more surprising was that this allegation turned out to be true. 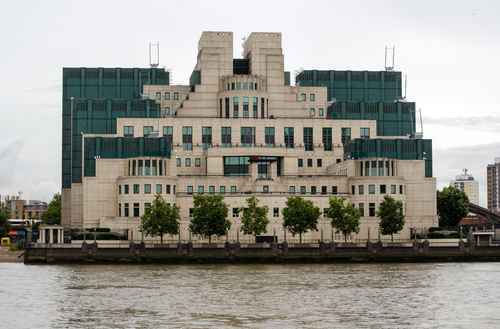 MI5 has a secret Northern Operations Centre although it doesnt say where this is located. However, speculation about an MI5 facility just over the road from the BBCs new home at Media City, Salford is quite strong. The paradoxical approach to intelligence referred to as known unknowns is true and is actually being increased. The MI5 director general Jonathan Evans said in 2009 that one of his priorities "to try and know more about the people we already know about, rather than to find the people we don't know anything about. It would be nice to know about the unknown unknowns, but it is probably a less rich seam than knowing more about the people that we know are a threat to us. One of the biggest recent threats to intelligence data held by British services wasnt hacking or deliberate leakage, but the dodgy British weather. The floods of 2007 near Cheltenham caused a water shortage at GCHQ, meaning vital computer cooling equipment couldnt function correctly, causing a bit of a panic, although no data was lost.